S.M.S. 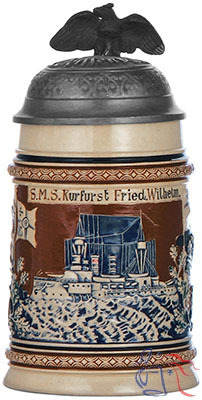 Kurfürst Friedrich Wilhelm, named for the 17th century Elector of Brandenburg and Duke of Prussia, was among the German Empire’s earliest ocean-going battleships, and served as flagship of the Imperial fleet from 1894 to 1900. 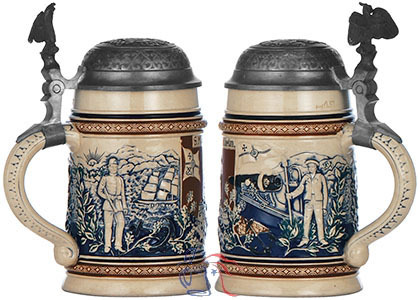 Interestingly, the lid on this particular example (below right) displays the name “S.M.S. 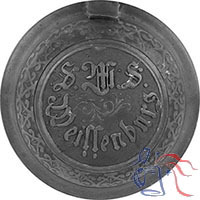 Weissenburg”, one of three sister ships of the same class.